With over 1 million migrants and refugees arriving in Europe, 2015 saw the highest migration flow since World War II according to the International Organisation for Migration (IOM). The degradation of 25% of the most productive lands is forcing farmers and pastoralists to move in search of fertile soil and pasture. These population movements are causing tensions between communities, further degradation of lands and are resulting in conflicts. The fifth edition of the Caux Dialogue on “Land and Security” thus focused on the potential for land restoration to mitigate migration flows. In his opening keynote, former Secretary-General of the Club of Rome and Gorbachev Climate Change Task Force member Martin Lees, warned that: “failure to take urgent and aggressive on climate change represents a clear and present danger for humanity. The difference of a few degrees can mean our survival as a species”, he added. With a quarter of human-emissions coming from agriculture, forestry and other land use, the potential for emission reduction and sequestration is enormous. Interestingly, in the US, this is leading to bi-partisan efforts into exploring how to maximize this potential despite political polarization in other areas. Can cooperation over land restoration become a catalyst for bi-partisan climate action? As Europe struggles with an unprecedented migration crisis, Grammenos Mastrojeni from the Italian Ministry of Foreign Affairs and International Cooperation warns that: “Europe wants to solve the problems in the Middle-East and Africa, not as a problem for the Middle-East and Africa but as a problem for Europe. That will simply not work”. A better understanding of what ignited the migration flows is a good place to start. The Syrian example provides an excellent business case for analysts and geo-political experts. 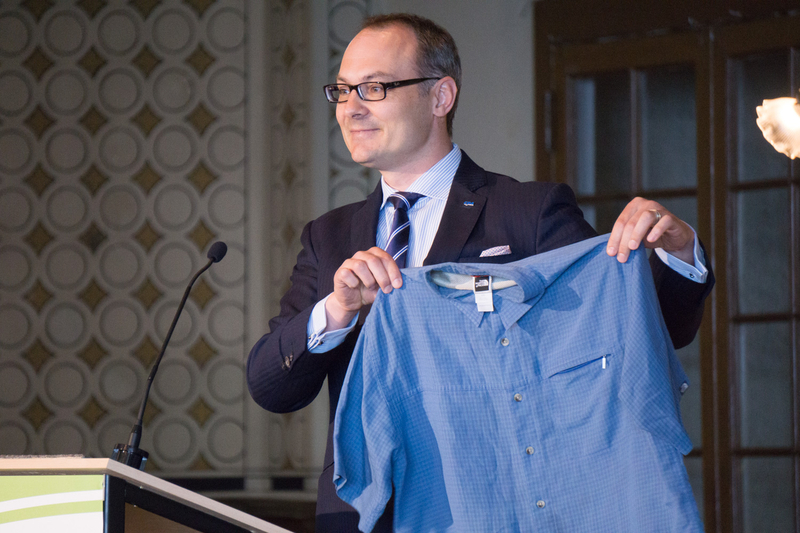 “The policy of promoting water intensive crops like cotton in a dry climate when you are suffering the worst drought in 900 years is a poor strategy” said Adam Koniuszewski from Green Cross. Water over extraction dried up the wells, widespread crop failures ensued and people from rural areas massively moved to the cities as a matter of survival. For Dina Ionesco who is heading the Migration, Environment and Climate Change section at IOM, the problem is hence not voluntary migration but the forced displacement of people. This is what needs to be addressed and certainly something she understands given her family’s experience fleeing Romania as political refugees to France to escape the oppression of the Ceaușescu regime. Around the world momentum is building for soil restoration. 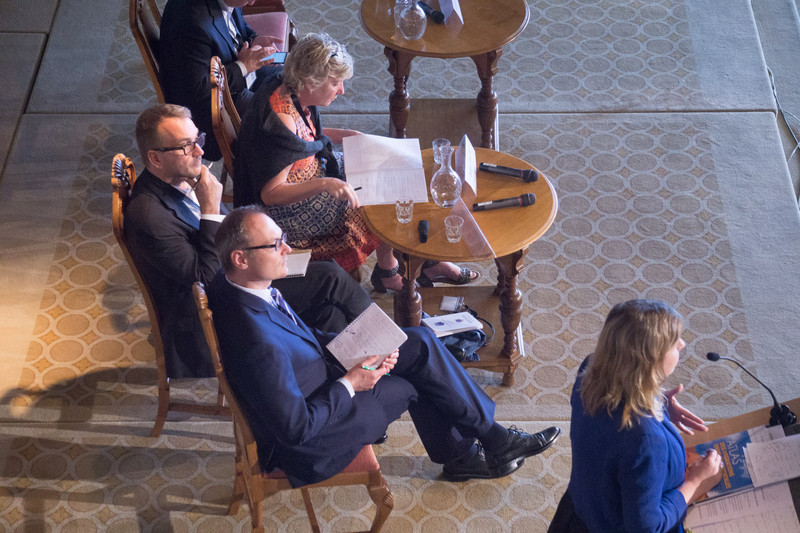 The Caux Dialogues and its partners deserve praise for providing an early platform to raise awareness about land degradation and for becoming an extraordinary catalyst for land restoration action and the scaling-up of solutions. Book launch session: Reclaiming Landscapes for a Sustainable Future, by Martin Frick , Jennifer Helgeson and Ilan Chabay. 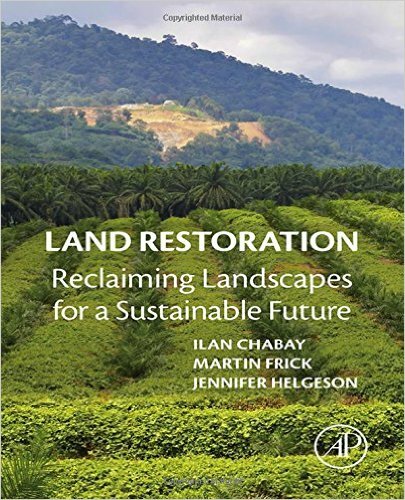 Many of the experts and practitioners that have contributed to the Caux Dialogues over the years have shared their wisdom and vision in “Reclaiming Landscapes for a Sustainable Future”, a book on land restoration by Martin Frick and Jennifer Helgesson. I am honoured for having been able to contribute a chapter on the impacts of military activities on soil and about promising remediation possibilities. The 600 page book can be ordered directly from the publisher Elsevier.